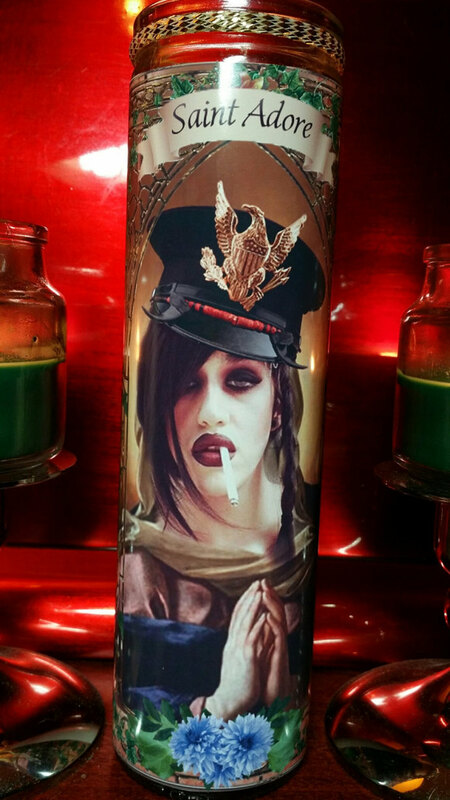 Adore Delano Celebrity Saint Candle with dark hair, hat and attitude - unscented white wax - 8" tall. Have 2 styles - church window and tropical frames. You can also get some bling! 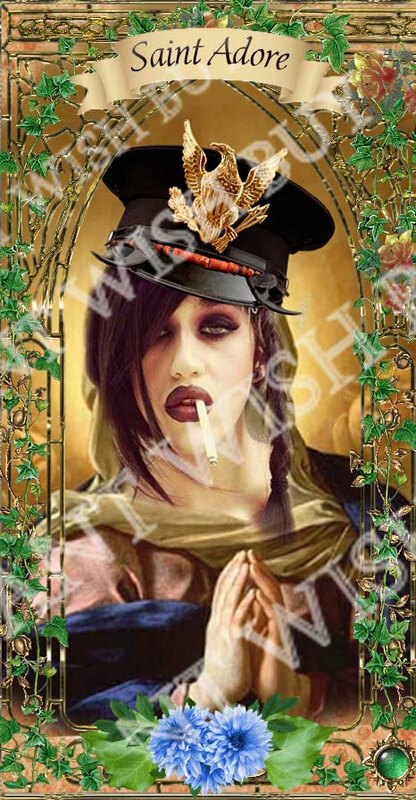 See the RuPaul candle for pic to see the bling (colors will vary by what is available)...until I get the pictures done. I have also Adore with red hair! I'll be posting pictures later.